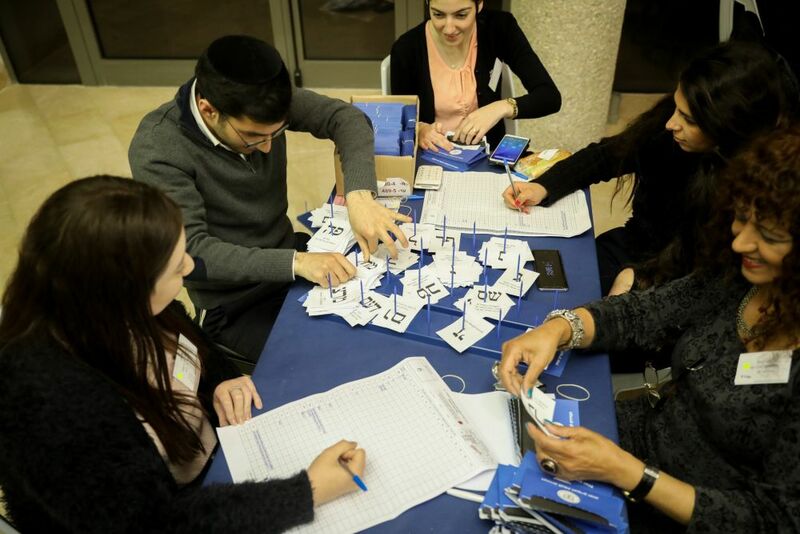 The final count of double envelopes, including soldiers’ ballots, on Thursday p.m., April 11, gave Likud another seat with 36 placing it at the lead, followed by Blue-White at 35. New Right still failed to pass the threshold limit after Naftali Bennett and Ayelet Shaked demanded a recount and claimed the election was “stolen.” Moshe Kahlon’s Kulanu party rose to 4, while United Torah Judaism and the United Right Parties dropped one seat each, ending respectively with 7 and 4 seats. Publication of the final results is promised for Friday, official results on April 17. As the counting of the soldiers’ and expats’ votes progressed on Thursday, April 11, New Right, wiped out in the 97.3pc tally, edged past the threshold of Knesset entry with 178,000 votes. The near-final count placed Likud in the lead with 39pc, followed by Blue-White at 38pc. Labor crashed to 6.3pc; Faiglin’s Zehut dropped out, the National Union parties stood at 5.88pc, Shas at 5.36pc, far-left Meretz at 4.41pc, Kachlon’s Kulanu – 4.37pc, United Torah Judaism – 4.27pc, and Lieberman’s Yisrael Beitenu – 2.45pc. If New Right and its leaders, ex-ministers Naftali Bennett and Ayelet Shaked, make it through the final tally later Thursday, the right-wing bloc is estimated to gain another four seats for Binyamin Netanyahu’s coalition government and Blue-White to fall back by one seat to 37. The final count will determine the allocation of Knesset seats to each of the parties that took part in Tuesday’s general election and survived the minimum threshold. Gantz (The Schwantz) and his three stooges will take the jobs that Iran offered them.